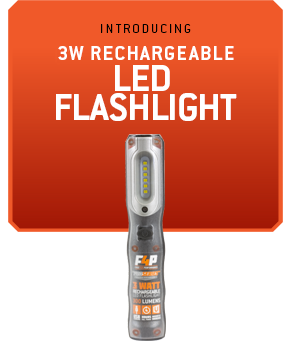 The F4P ProSeries 3 Watt Rechargeable Flashlight offers a sleek and unique ergonomic design to make the temporary illumination of spaces completely feasible. 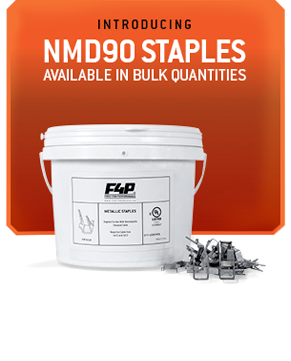 F4P Metal Nailing Staples keep NMD90 cables neat and tidy. These staples are specifically designed to secure the cable in place. Reinforced steel walls prevent buckling during hammering. Available in bulk sizes. 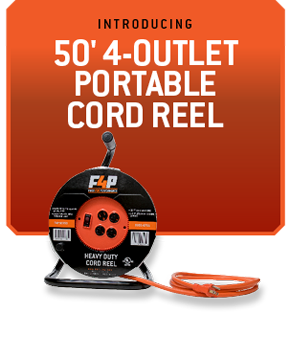 Stay organized on the go with this convenient reel featuring four grounded outlets with locking covers and an on/off switch with indicator light for added safety.